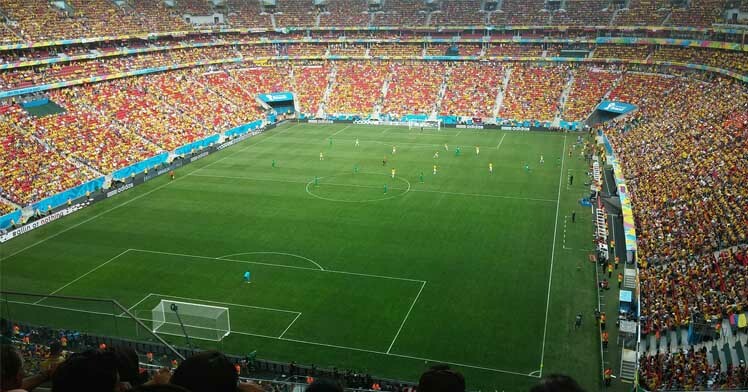 Whether or not you are a sports betting enthusiast, it's always handy to know of the latest upcoming competitions and fixtures on which to keep an eye. In October, the daylight hours may be shortening and the weather getting colder, but you can rest assured that the sporting action is hotting up. Here are just some of the highlights of the October sporting events calendar on which you may fancy placing a couple of matched bets with Profit Accumulator. As if the qualification stages for the most prestigious football tournament on the planet weren't already serving up enough intrigue, Sam Allardyce's recent scandal and subsequent departure from his short-lived role as England manager once again leaves the Three Lions' post vacant. In the meantime, England under-21 boss Gareth Southgate has been handed the reins for the senior team's final four matches of 2016, with Manchester United attackers Jesse Lingard and Marcus Rashford having duly been given call-ups for the games against Malta and Slovenia. In theory, however, these shouldn't be overly stressful matches for England, so many of those truly wishing to make money online will be checking the odds for games like the Republic of Ireland v Georgia and Austria v Wales, both on the 6th. Further upcoming encounters over the international weekend include Scotland v Lithuania and Northern Ireland v San Marino. Super League's biggest night will see Warrington Wolves face off against Wigan Warriors at Old Trafford, and as you can imagine, there are some tempting odds on offer, with both teams fancied at 10/11 by many bookmakers. The respective teams secured their places in the final with Warrington vanquishing St Helens 18-10 at their home Halliwell Jones Stadium, while Wigan secured a 28-18 success over Hull FC at the DW Stadium. Meanwhile, Super League's Million Pound Game saw Salford Red Devils score a last-minute drop goal to relegate Hull KR. That game was sadly marred by fighting between rival fans at the end of play, with emotions running high as Hull surrendered an eight-pound lead held until the last two minutes of the match. Nonetheless, all attentions now turn to the big event on the 8th, as the Super League continues to affirm its status as Europe's top-level professional rugby league competition. In another sad reminder that sport can never entirely divorce itself from the 'real world', the England cricket team's preparations to tour Bangladesh this month have been greatly disrupted by a terrorist attack in Dhaka four months ago. Concerns about team safety even led to regular one-day captain Eoin Morgan and opener Alex Hales withdrawing from selection, so it was little surprise that in the words of The Telegraph's Nick Hoult, "a massive security operation spearheaded by Bangladesh's elite Rapid Action Battalion anti-terrorism police guarded the England team as they ventured out of their hotel for the first time". With all reasonable precautions having seemingly been taken, hopes will doubtless be high across the sports betting community for a safe and enjoyable series of fixtures, set to include three One-Day Internationals (ODIs), two Test matches and three tour matches from 4th October to 1st November. The news in August, as reported by the BBC, that the prestigious finale to the British flat racing season had attracted a record 256 entries will have further stoked anticipation among horse racing and general sports betting aficionados alike. The culmination of the British Champions Series has been a key focus for those looking to make money from betting since 2011, when it was formed from a number of historic races at Ascot and Newmarket. With no fewer than 79 winners of top-level Group One races present in the field of contenders, this year's Champions Day promises to be as unpredictable as ever to bet on, which may make the placement of a couple of matched bets an especially wise choice. Admit it: you thought Britain's Lewis Hamilton was going to run away with his third title in a row, didn't you? As it happens, his Mercedes team-mate has fought back with a vengeance and now leads the defending champion in the standings by 23 points. Given the 25 points available for a Grand Prix win and the fact that only five races of the season remain, that's a pretty healthy lead for the German - but as we know from the past, you can never count out the determined three-time champion. With no fewer than three Grands Prix to come during October, including the Japanese Grand Prix at the famously thrilling Suzuka from the 7th to 9th, we'll learn a lot in the coming weeks about where this year's driver's title is likely to head. There's plenty more for rugby league fans to get excited about before the end of the month, in the form of the Four Nations tournament that gets underway in earnest with Australia taking on Scotland at the KC Lightstream Stadium in Hull on Friday 28th. This is followed a day later by the England v New Zealand match at Huddersfield's John Smith Stadium. With England assuming the role of host country this time around, games will take place at various venues across the country. These include - most notably - Anfield, which according to Sky Sports, will host Rugby League for the first time since St Helens took on Castleford in 1997. With so much to look forward to across the sporting world this month, you could very easily lose your shirt as a sports betting fan - unless, of course, you instead place matched bets through a service like our own here at Profit Accumulator. 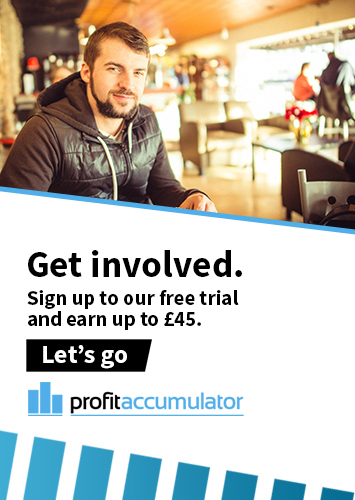 It couldn't be easier to register with Profit Accumulator today to start making money online. Remember that matched betting is tax-free, risk-free and - with our assistance - relatively quick and easy to do, so why wait any longer to start adding hundreds or even thousands of pounds to your bank account every single month?